Microsoft officially stopped supporting Windows XP in 2014. 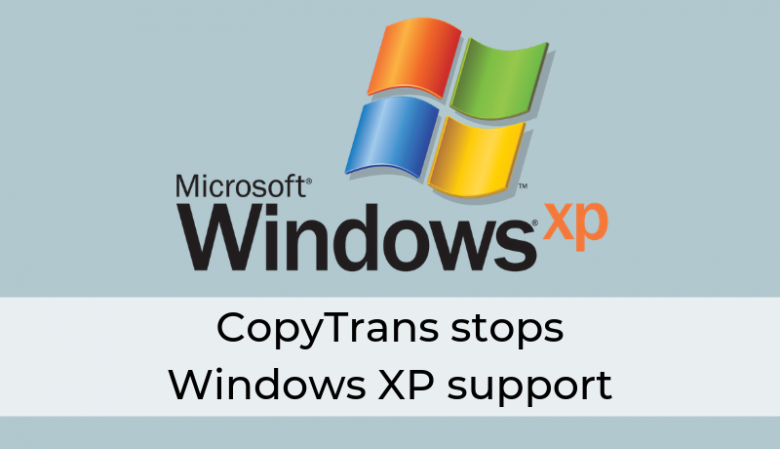 5 years later, CopyTrans stops providing support for Windows XP as well. In the table below you can find which versions of CopyTrans software support Windows XP. 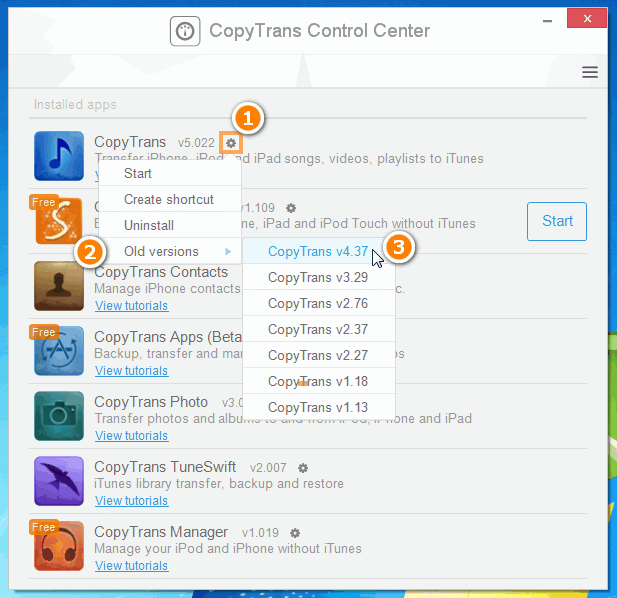 * The latest version of CopyTrans Apps compatible with Windows XP can be downloaded from this link. If you have a newer version of the program installed, you can downgrade it. To install a previous version of our products, please click the cogwheel symbol next to the product name and under “Old versions”, choose the version you wish to install. If you have purchased a license in our online store and can not activate the older version with the activation code received, please contact us at copytrans@copytrans.net or click here to send an email right away. We are here to help.